An international team of researchers has demonstrated that key processes in models used for the global assessment of water resources for climate change are currently missing. This could mean climate change impact models are wrong in some parts of the world and cannot yet be used to guide water management. The study, published today [Tuesday 28 February] in the Proceedings of the National Academy of Sciences (PNAS), has shown that groundwater recharge estimates for 560 million people in the karst regions in Europe, the Middle East and Northern Africa, are much higher than previously estimated from current large-scale models. This finding, by researchers from the Universities of Bristol; Freiburg; Victoria, Canada; and the International Institute for Applied Systems Analysis, Austria, suggests that more work is needed to ensure sufficient realism in large-scale hydrologic models before they can be reliably used for local water management. Groundwater is a vital resource in many regions around the globe. Groundwater recharge rate is an important quantity for securing sustainable supplies when managing drinking and irrigation water. The researchers compared two hydrological models that simulate groundwater recharge over large regions. One is a well-established global model with limited accounting for subsurface heterogeneity. The other is a continental model the researchers have recently developed and which includes, for example, the variability in the thickness of soils and different subsurface permeabilities. 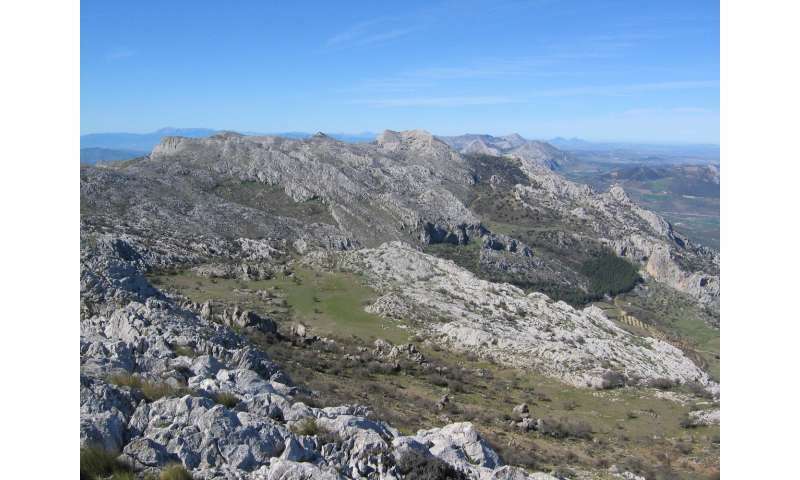 The research team carried out the comparison for all of the karst regions in Europe, North Africa and the Middle East. Karst regions are known for their great degree of subsurface heterogeneity, because carbonate rock shows greater susceptibility to chemical weathering - a process that is known as karstification. Karstification leads to varying soil depths and permeabilities. A comparison of the models' calculations with independent observations of groundwater recharge at 38 sites in the regions has shown that the model that accounts for heterogeneity produces more realistic estimates. The researchers have demonstrated the reason for the difference between the two models. In its simulations, their newly developed model shows reduced fractions of surface runoff and evaporation—and consequently, greater groundwater recharge. According to the new model, a farmer in the Mediterranean region would potentially have significantly more groundwater available for extraction than current large-scale models predict. Thorsten Wagener, Professor of Water and Environmental Engineering in the Department of Civil Engineering at the University of Bristol and one of the researchers on the study team, said: "When applied to the example of karst regions, our approach shows how it is possible to adapt global models used to predict water shortages, drought or floods to account more realistically for regional conditions. This approach will ultimately enable both local management and large-scale assessments within the same model." A study recently published in PNAS suggests that inclusion of currently missing key hydrological processes in large-scale climate change impact models can significantly alter our estimates of water availability. Don't worry, the AGW models themselves are wrong - so these further missing processes are unlikely to have much effect on reality anyways. Nature doesn't need a model to work.